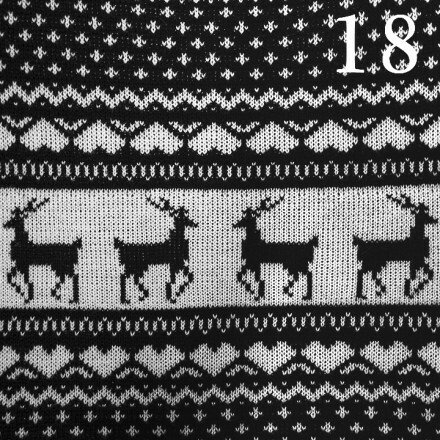 Today is Christmas Jumper Day, and today on #bbadvent we give you the chance to win a gorgeous Brasserie Blanc gift card. To be entered into the giveaway all you have to do is tag us on Twitter, Facebook or Instagram with @brasserieblanc , #bbadvent and #Christmasjumperday and the person with the best Christmas jumper picture will win a £25 Brasserie Blanc gift card to spend in the New Year. You can support Make-A-Wish® UK, Macmillan Cancer Support and Save the Children by donating to Text Santa and do your bit in a Christmas knit. Our advent calendar is filling up with lots of beautiful festive pictures, recipes & weekly giveaways, waiting to be revealed day by day. You can follow along with us on Instagram, Twitter & Facebook to join in the Christmas countdown. Join us by posting pics of any of your festive activities, whether you’re going ice skating or roaming a Christmas market. Be sure to tag us using the #bbadvent for your chance to be entered into a weekly prize draw to win some exciting prizes including some of our beautifully designed bespoke Christmas crackers, our gorgeous charity Christmas cards, and Brasserie Blanc gift cards to be spent in the New Year. Make sure to follow us on Social Media to keep up with events.